Grand Villa of DeLand offers a Respite Care program that gives family caregivers a break from the often stressful demands of home care. 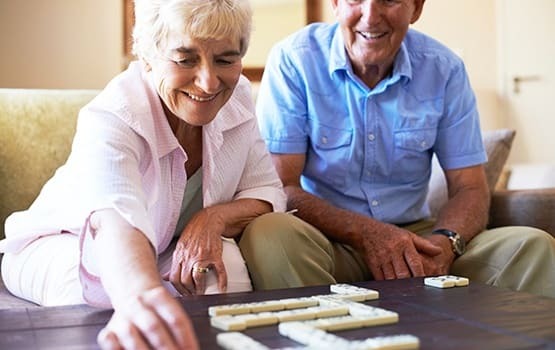 Our program ensures seniors receive compassionate care, mental stimulation, and social opportunities, while caregivers take time to rest or attend to other matters. Below are the programs we have designed to support families who are not ready for full time residency in a senior living community. Our Short-term Stay program helps families provide care for a loved one. This program is also ideal for seniors recuperating from a hospital stay. Short-term Stay residents enjoy all the amenities of our full time residents for a few days, a week, or a month. In addition to comfortable accommodations and a full activities calendar, Short-term Stay residents have access to Personal Care, housekeeping, laundry services and more. Our Senior Day Program is an excellent way to reduce the stress on caregivers while seniors enjoy interesting, active days. 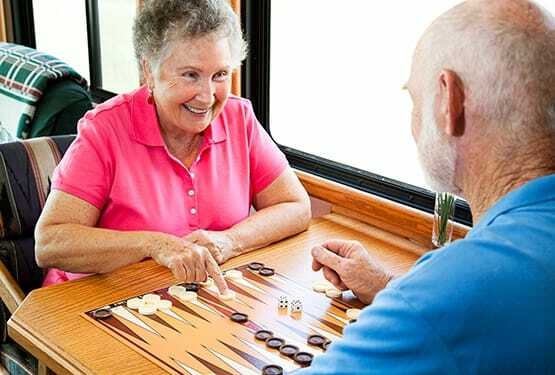 Studies show that a tendency towards isolation and loneliness decrease when seniors are in an active and enjoyable adult day care program. Participants benefit from personal health services and social activities during the day, and then return home to familiar surroundings in the evening. This program is an affordable option that can help seniors live at home longer and prevent caregiver burnout. If you are a family caregiver seeking Respite Care, call us at 386-337-3900 for more information.